US Tourist Killed in Andaman: John Allen Chau, an Instagram adventurer who also led missionary trips abroad, traveled to the Andaman Islands - an Indian territory in the Bay of Bengal - this month to make contact with members of the tiny Sentinelese tribe, police said. 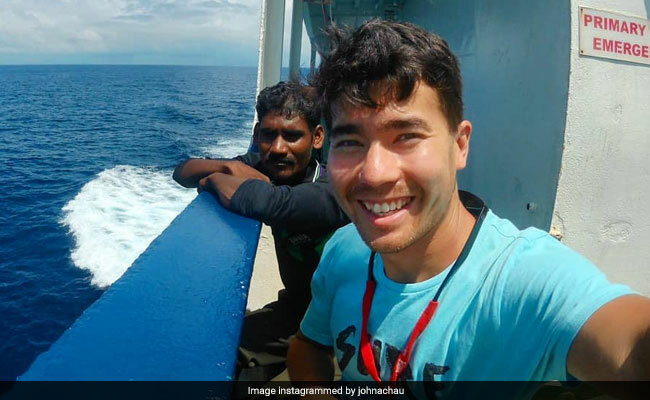 John Allen Chau, 26, of Vancouver Washington, an Instagram adventurer who also led missionary trips abroad, traveled to the Andaman Islands - an Indian territory in the Bay of Bengal - this month to make contact with members of the tiny Sentinelese tribe, police said. The tribe, who have remained alone for centuries, reject contact with the wider world and react with hostility and violence to attempts by outsiders to interact with them. The island is off-limits to visitors under Indian law. Chau's riveting journal of his last days, shared with The Post by his mother, shows a treacherous journey by dark in a small fishing boat to the area where the small tribe lived in huts. The men - about 5 feet-5 inches tall with yellow paste on their faces, Chau wrote - acted angrily to his presence as he tried to attempt to speak their language and sing "worship songs" to them, he wrote. "I hollered, 'My name is John, I love you and Jesus loves you,' " he wrote in his journal. One of the juveniles shot at him with an arrow, which pierced his waterproof Bible, he wrote. 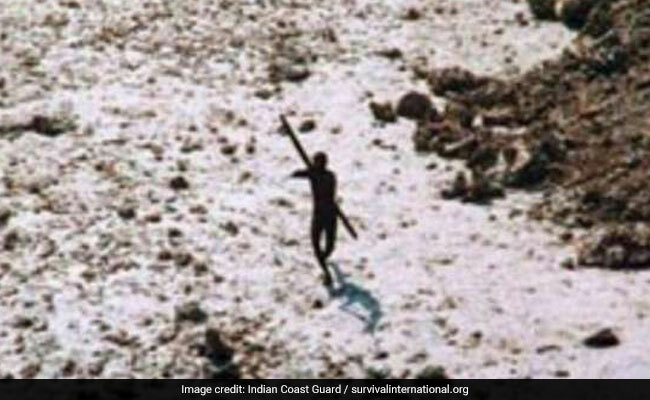 The Sentinelese fired arrows at an Indian Coast Guard helicopter that went to help after the 2004 tsunami. "You guys might think I'm crazy in all this but I think it's worthwhile to declare Jesus to these people," he wrote in a last note to his family on Nov. 16, shortly before he left the safety of the fishing boat to meet the tribesmen on the island. "God, I don't want to die," he wrote. Fishermen saw the tribe burying his body on the beach the following day, a fellow missionary wrote in an email to his mother, Lynda Adams-Chau of Vancouver, Washington. "I believe he is still alive," she said in a short email to The Post. Asked why, and she replied, "My prayers." "He was a beloved son, brother, uncle, and best friend to us," his family wrote on Instagram. "To others he was a Christian missionary, a wilderness EMT, an international soccer coach, and a mountaineer. He loved God, life, helping those in need, and he had nothing but love for the Sentinelese people." Chau maintained a lively Instagram feed of his travels in Africa and other remote locales - including photos of leech and snake bites - and led missionary trips for youth from Oral Roberts University in Oklahoma, his alma mater, and others. He spent at least part of the year living in a remote cabin in Whiskeytown National Recreational Area in California, according to his posts. In his bio, he said he was a follower of the Christian group "the Way," as well as a wilderness emergency medical technician and explorer. He had made four prior trips to the Andaman and Nicobar Islands starting in 2015 and arrived in Port Blair in mid-October on a tourist visa, according to police, and paid five fishermen to take him to North Sentinel Island, said Deepak Yadav, a senior police official in the city of Port Blair. A fellow missionary told his mother that Chau's plan was "not to tell anyone" what he was up to and avoid putting friends at risk, emails show. The next morning, they saw his body "being dragged and then buried," Yadav said. Police sent a helicopter to conduct reconnaissance on Tuesday, and a separate team traveled to the area on Wednesday. An investigation is underway, and the fishermen involved have been arrested, as has a friend of Chau's in Port Blair who helped organize the boat trip to the island, the police official said. "They were very well aware of the situation, but they still arranged for a boat and everything," said Yadav, a move he described as "pushing [Chau] in the mouth of death." No one knows exactly how many Sentinelese live on North Sentinel Island. Attempts by Indian census officials to count them from a distance have put their number at fewer than 100. The Indian government adopted a policy of "isolation with minimal intervention" toward the Sentinelese and several other tribes in the Andaman and Nicobar Islands, which are in the Bay of Bengal off the eastern coast of India. "Why does this beautiful place have to be have so much death here?" he wondered hours before his death. "I hope this isn't one of my last notes but if it is 'to God be the Glory.'"